David Bowie’s ‘Starman’ single was released in the United Kingdom on 28 April 1972. Sales were initially slow, and it was at number 41 in the charts at the time of Bowie’s game-changing Top Of The Pops appearance in early July. Bowie had not had a hit since ‘Space Oddity’ in 1969, and many assumed that ‘Starman’ was its follow-up – despite having released several albums and singles in the interim. Yet the new single cast off the image of the old long-haired singer-songwriter, and Bowie’s glam image spawned a legion of imitators. The success of ‘Starman’ lifted the sales of Bowie’s back catalogue, and led to reissues of some of his earlier works. It also guaranteed interest in The Rise And Fall Of Ziggy Stardust And The Spiders From Mars, which was an instant hit upon its release. 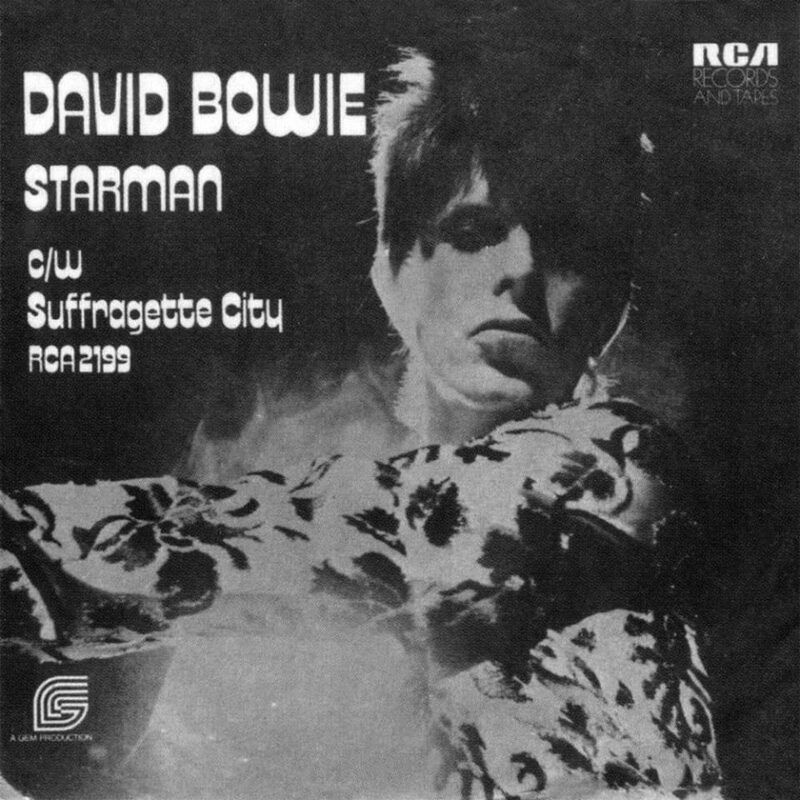 Then ‘Starman’, backed with ‘Suffragette City’, was released as a single on 28 April in the UK. Suddenly we were on the radio again, and when the Ziggy Stardust album itself came out on 6 June it went straight in at Number 7, peaking at Number 5. Finally we were headline news. 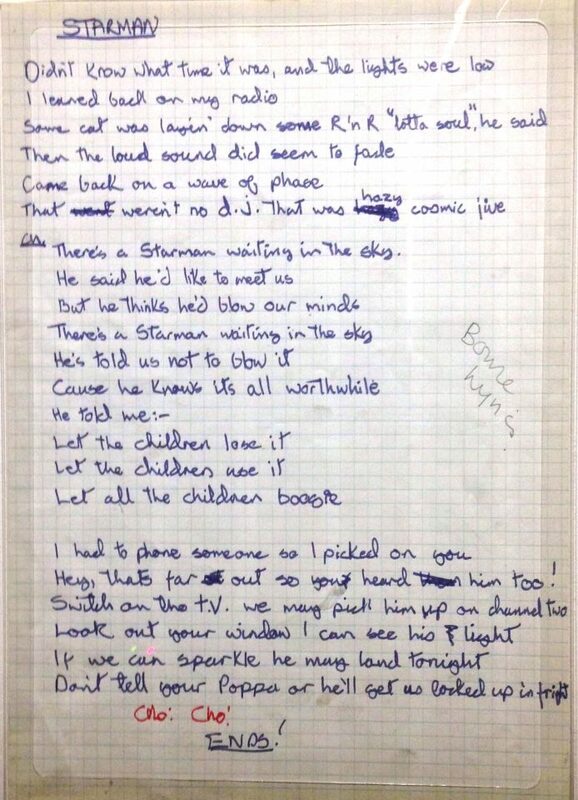 ‘Starman’ raced up the charts following Bowie’s Top Of The Pops appearance. Its fortunes dramatically shifted afterwards, and the single peaked at number ten during its 12-week chart run. The album, which had been released on 16 June, did even better, reaching number five on the album chart. In the United States, ‘Starman’ fared less well, getting no further than number 65 on the Billboard Hot 100 in August 1972. There are no other posts for this date. Visit the David Bowie history section for more.